The new 2011 Renault Clio may still be far way from production but that hasn’t deterred magazines from speculating on it’s appearance. French car magazine Autoplus has published some artist’s renderings of the fourth generation Clio that are said to base on some allegedly executive granular black-and-white designs that were leaked online prior this year. The computer generated images recommend a more dramatic styling with ‘swoopier’ ranks and a bolder face for Renault‘s Ford Fiesta and Citroen C3 rival. As is the instance with many of these upcoming car renditions, there’s no way of being sure about how close or not they are to the actual production model. 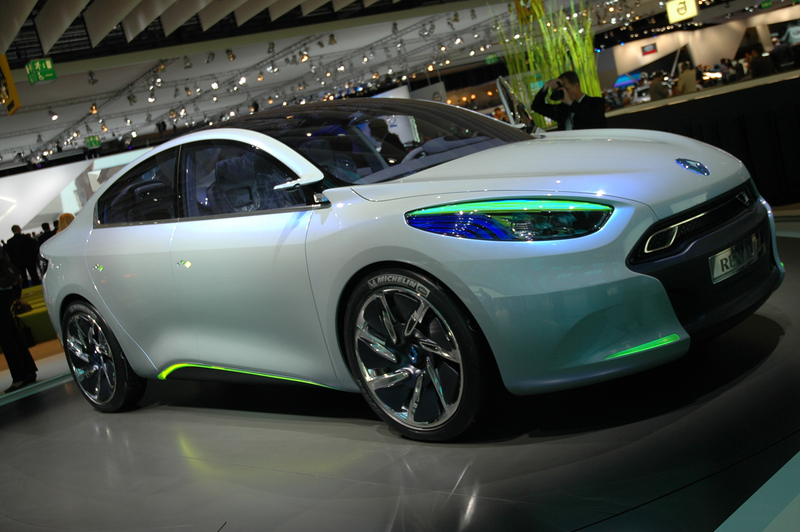 French automaker has revealed details on the new Renault Fluence. The new compact sedan will fabricate and start selling in Russia, Turkey and Romania from this November. The new Fluence is 4.62 metres long, 1.81m varied and 1.48m high. It has a wheelbase of 2.7m. The rear seat has a 60/40 tension capability while the interior provides some 23 litres of stowage legroom. Renault claims the car has more passenger room than its close rivals. The first official photos of the face lifted Renault Clio were released ahead of the world debut at the Geneva Motor Show. The 2009 Clio III gets a mid-life makeover that brings it in line with Renault’s latest models and in particular the Megane plus a new GT sport version that promises to close the gap between the standard models and the 197-horsepower Clio RS. The facelifted Clio is distinguished by the redesigned tail lamps and the newly styled profuse which now incorporates the reversing light and foglamps. Interior changes are limited to the availability of new trims and tackle that involve Renault‘s hottest GPS navigation usage, the Carminat TomTom that is integrated into the greater part of the centre console.